In this article we answer one important question many Netscape Mail users still have. 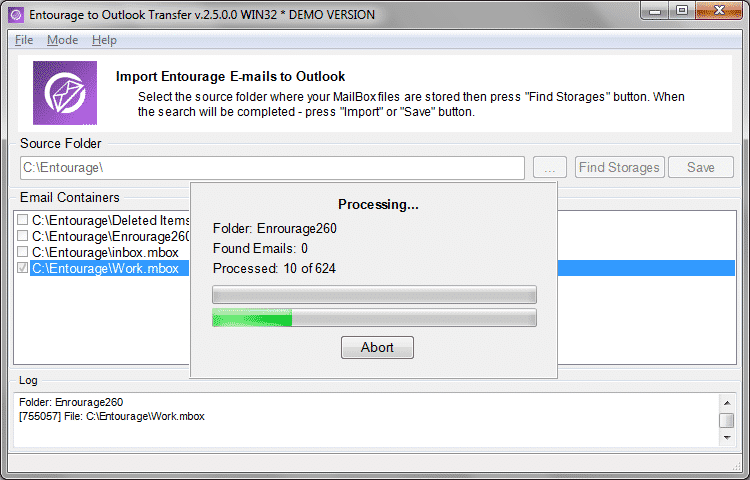 How to painlessly migrate from Netscape to Outlook without losing data, time or money during the conversion procedure. 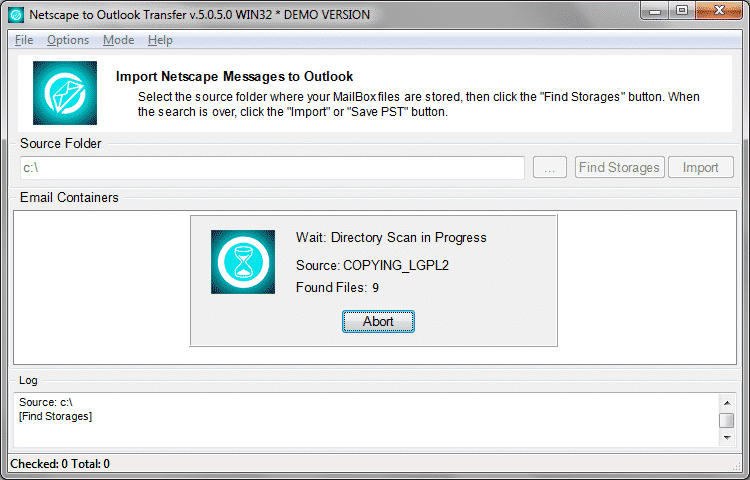 Basically, all it takes, is to execute Netscape to Outlook Transfer, select folders to import and start the conversion procedure, but below is a step-by-step tutorial. Netscape is old enough to use its own format of storing mailboxes. The exact path, however, depends on your operating system. Windows Vista / 7 : Open a Windows Explorer window and choose “Organize → Folder and Search Options → Folder Options → View (tab) → Show hidden files and folders”. Windows 8 and higher: Open a Windows Explorer window and choose “View Tab → Options → View Tab → Show hidden files and folders, then click the Apply button”. However, in the majority of occasions you don’t need to manually specify the location. 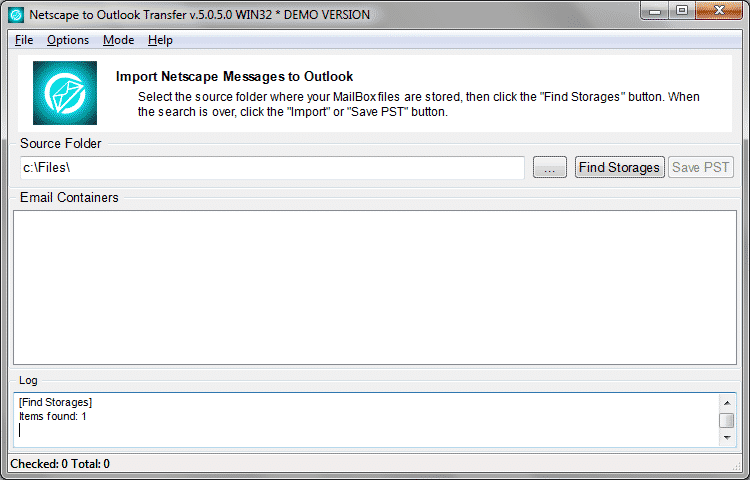 Netscape to Outlook Transfer is designed to automatically detect the required folder and process the data from it. You only need to specify a Netscape folder manually if you copied the mailbox from another computer (that is, if Netscape is not actually installed on your machine) or if the automatic detection failed for some reason. This step-by-step will guide through the process of importing your Netscape emails to an Outlook PST file. Set up Netscape to Outlook converter. You can download and install it from here. Installing takes just a minute and does not require any skills beyond the very basic. The first one corresponds to 32-bit version of Outlook, while the second one allows you to convert Netscape data to 64-bit Outlook. The software automatically searches for the folder where Netscape stores its mailboxes. The found files are displayed below in real-time. If Netscape is not installed on the PC, you may need to specify the path manually. Click the “…” (Browse) button. Browse for a folder where Netscape mailbox files (like, INBOX and INBOX.MSF) are. The Source Folder field will display your selection. Click “Scan Folder” to find the database files that hold all the messages. The program will read these files and recover all necessary e-mail data from it, so you can select accounts and mailboxes to export from Netscape. Now, you can save the data to an external PST file. Just click the “Save” button to open the Save dialog and choose the destination folder for the PST file. Enter the file name or use the default. Select the directory to save the PST file. Confirm the folder selection by pressing OK button and conversion of Netscape emails will be started. The conversion is not immediate, of course, but is still very fast. Although, please allow a few minutes for the entire volume of messages to be processed. Done! Now, take the PST file and import it to Outlook using the File -> Open -> Open Outlook Data File… menu. What if you want to migrate from Netscape directly to Outlook, bypassing all the intermediate PST files and such? 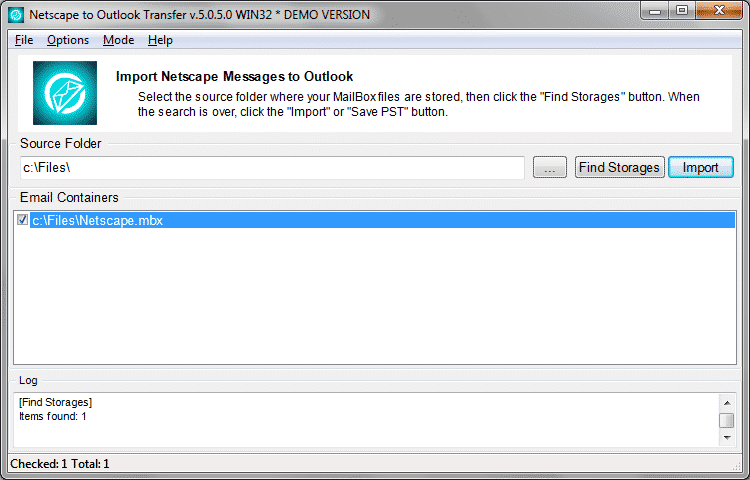 There is a way to import your e-mails from Netscape directly to your Outlook profile using Netscape to Outlook Transfer. Download Netscape to Outlook Transfer and install the program to your computer. On a broadband connection the entire process take less than a minute. one launches the 32-bit version of the converter, and the other runs the 64-bit version. Not sure, what to choose? If you own 32-bit version of Outlook, click the 32-bit shortcut. For 64-bit Outlook, use 64-bit converter. Note: Windows bitness doesn’t matter, the tool is working in couple with Outlook and only Outlook bitness matters. Now, the program is running and is automatically detecting the folder where Netscape files are. In many cases, auto-detection work works perfectly, but if there is no Netscape Mail installed on your PC and you simply copied files from another computer, you may need to set the folder by hand. To do this, click the “…” Browse button. Finally, all the messages, attachments and conversation threads from your Netscape Mail are transferred to Microsoft Outlook. 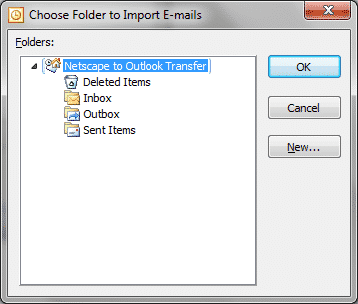 As you see, with Netscape to Outlook Transfer the process of import Netscape mail into Outlook is much simpler than it would take if you did this manually. Enjoy!